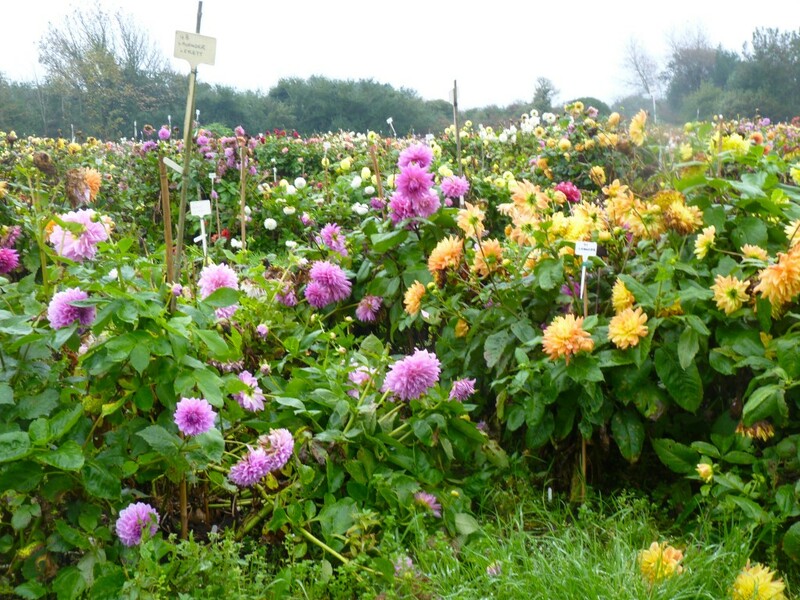 Winter is icumen in fast, now, over the dahlia meadow at Varfell Farm, where they keep the national collection, blackening the edges of leaves and petals. 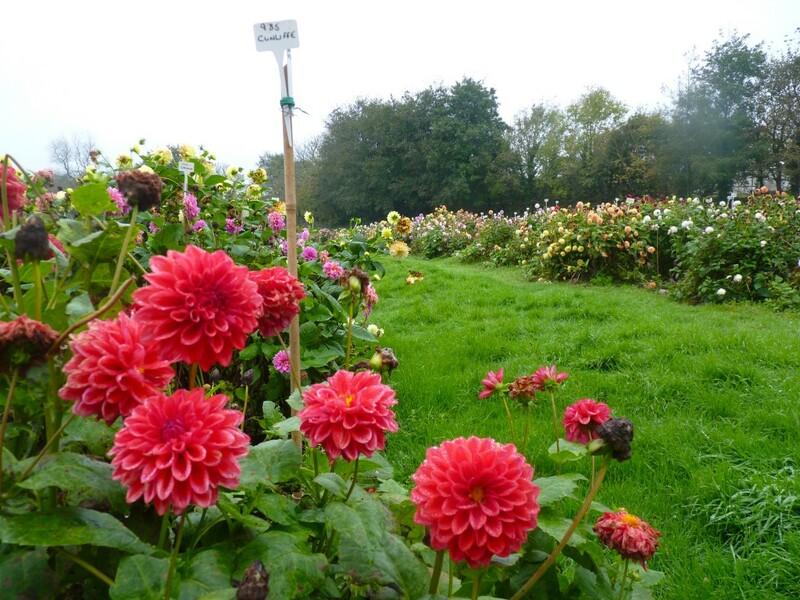 Over 275 miles off from London, it is a comparatively modest operation, but this year they took a gold medal at the RHS Hampton Court Flower Show, and when they showed at Chelsea in 2009 they took another and the President’s Special Award for the best Floral Exhibit. Rooted cuttings can be ordered up until January and are sent out to customers during April and May. 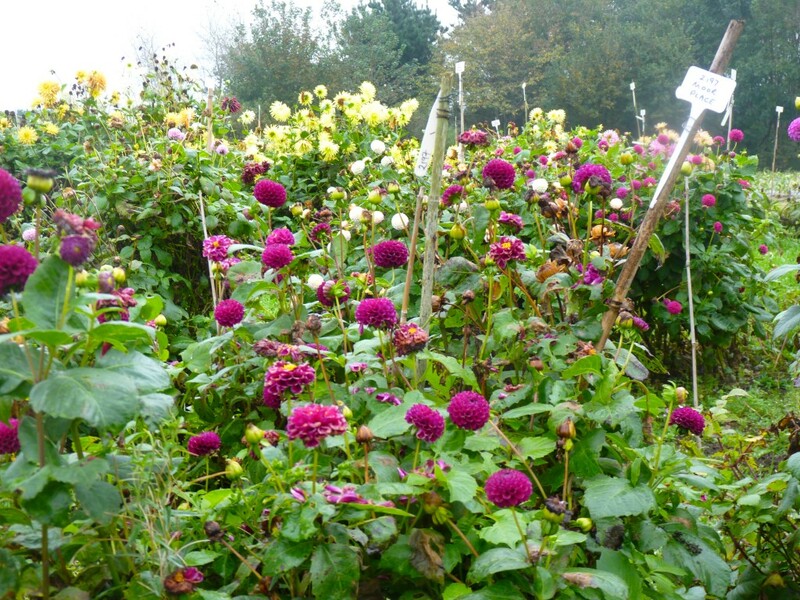 Even cuttings planted in June will flower that season and make tubers to overwinter to the following year.